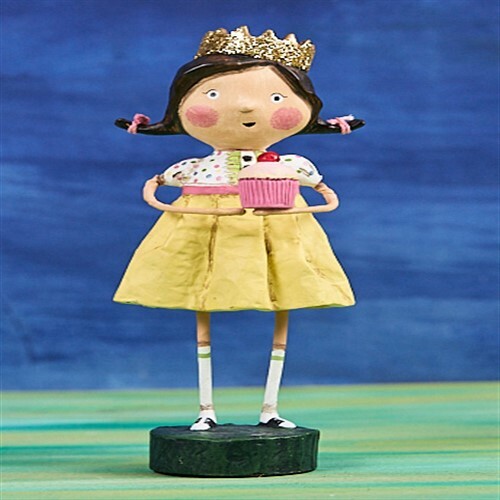 A very special day includes a sparkly crown and a cupcake! Lori Mitchell's queen makes us feel special on a birthday, new job, retirement or just because we feel royal! She is approx 6" tall and made of resin. She makes a great girlfriend gift!